FIVE years after the death of Clara, his wife, Edo State Governor, Adams Aliyu Oshiomhole, has concluded plans to remarry. He will be getting married to his fiancée, Miss Lara Fortes on Friday, May 15, 2015. Wedding invitations already sent out by the governor to close friends and associates indicate that the solemnisation of the marriage ceremony will hold at the Etsako West Local Government Council Marriage Registry, Auchi, at 10 a.m. Reception, according to the notice that was personally signed by the governor, will take place at the People’s Hall, Iyamho, Oshiomhole’s country home. ‘While looking forward to the honour of your distinguished presence, I sincerely crave your pardon for the rather short notice. 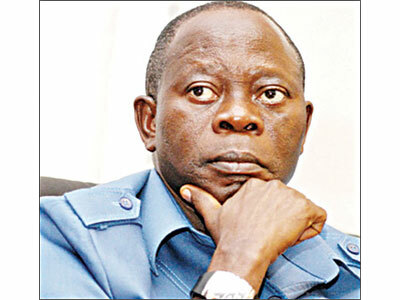 Please accept the renewed assurances of my highest esteem,” Oshiomhole wrote. Clara, the Edo State Governor’s wife, had died in December 2010 after losing the fight against cancer. Happy married life, I wish you and your family all the best.